Listen to the conversation. Everyone talks about listening, and I would argue that it’s getting to be a full time job that we need specialists for in order to implement properly. For our purposes, we need to know the tools and techniques and be able to pull something quick and dirty together for a pitch or in order to sell in real listening services. From the free stuff on Google to the real deal with Radian 6, we need to be able to take data and find actionable information in it. We also need to teach clients about the different KPIs of digital programs and help build custom dashboards to track conversation, spread and remixes of what we’re putting out into culture. We also want to follow competitors and know what they’re doing. Ultimately, we need to help set up a client to do this work internally and share it with us. I personally believe the voice on social networks needs to come from someone internal. 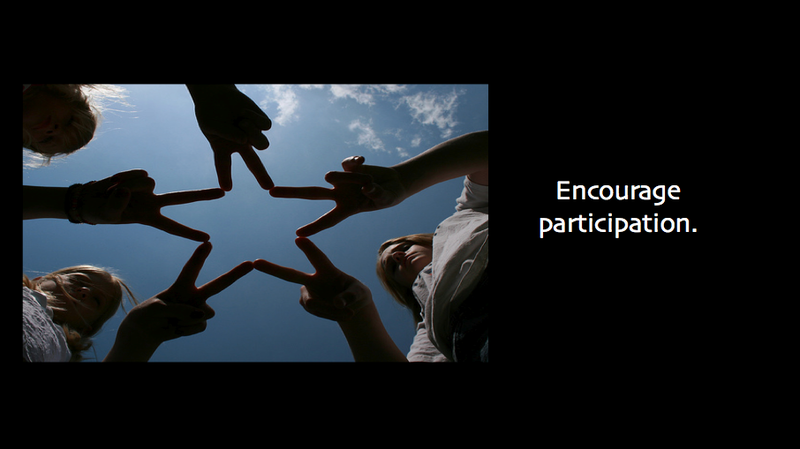 Encourage participation. What is really cool about digital is that it enables people to more easily do what comes naturally: share their take on the world. We need ideas that create the preconditions for people to co-create with us. This will not solve every brief, but as one of the checklist bases to cover we ought to consider if co-creation might be the answer. Contests tap into our prehistoric competitive nature. Being creative feeds into our need for meaning in life. And bribes aren’t just for kids. A coupon or a freebie can be a fun reason alone to get involved. Thanks for the Radian6 shout out! 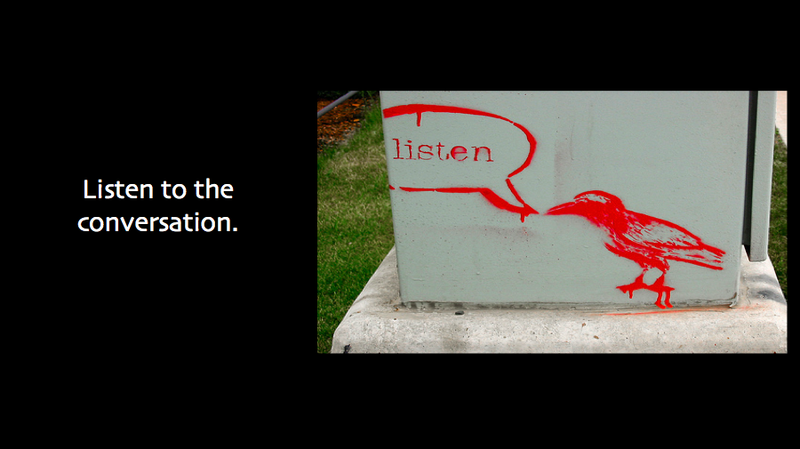 Listening is often a first step for many companies, but you have to remember to define what you’re listening FOR first!